Dallas, TX (PRWEB) January 6, 2011 — Today Smarty Ears announced the release of Expressive 1.1 for iPhone, iPod touch and the iPad. 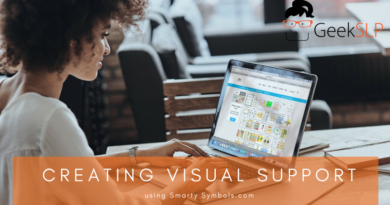 The version 1.1 of Expressive is a major update to the application that has been helping many children and adults to express their thoughts, wants and needs. Expressive is one of the most affordable apps of its kind on the app store. Expressive is an entry-level augmentative and alternative communication (AAC) app that allows children that are unable to use their own voice to communicate. With Expressive, children who may have never expressed themselves have a chance to combine pictures that will speak for them. 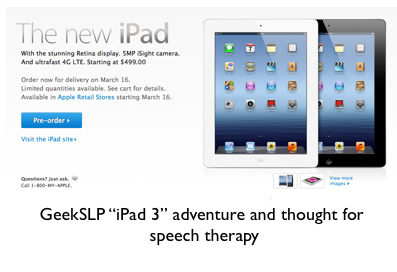 Expressive was developed by Barbara Fernandes, a trilingual Speech and language pathologist in the Dallas area who saw that many families of individuals with a variety of communication disorders — such as autism, Down syndrome, apraxia, ALS, cerebral palsy and victims of stroke — could not afford the price of a conventional device. At US$34.99 Expressive is one of the most affordable apps on the market and it costs a fraction of the devices it rivals, which typically cost anywhere between US$800 and US$4000. These features significantly enhance the value of this application for the disability and the professional community. 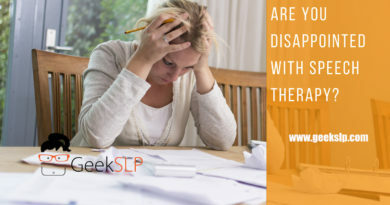 Speech and language pathologists who work with children with autism know that many times expensive devices can be hard to program and many times do not allow much flexibility for children that are just learning to use pictures to communicate. 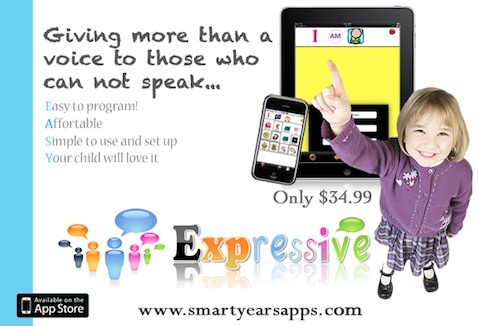 Given its extreme ease of programming, affordability and extensive features, Expressive allows parents and speech therapists to use as a starter for many children and adults that would otherwise feel overwhelmed by the many buttons on more advanced devices and apps. For more information visit: www.smartyearsapps.com or contact Smarty Ears at contact(at)smarty-ears(dot)com. 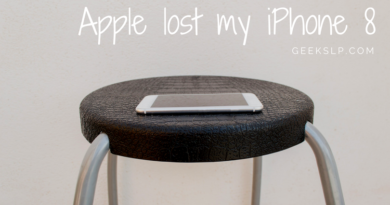 iPhone, iPod, iTunes are trademarks of Apple, Inc., registered in the U.S. and other countries. Expressive is a trademark of Smarty Ears, LLC.